CMS Cepcor® is the genuine alternative for premium aftermarket crusher spare parts and wear parts to suit the imperial range of crushers manufactured by Telsmith, Pegson and CFBK. CMS Cepcor® stocks a wide range of jaw dies, wedges, jaw bolts, jaw guards and sideplates in addition to CMS Cepcor™ heavy duty jaw dies to suit the most popular sizes. 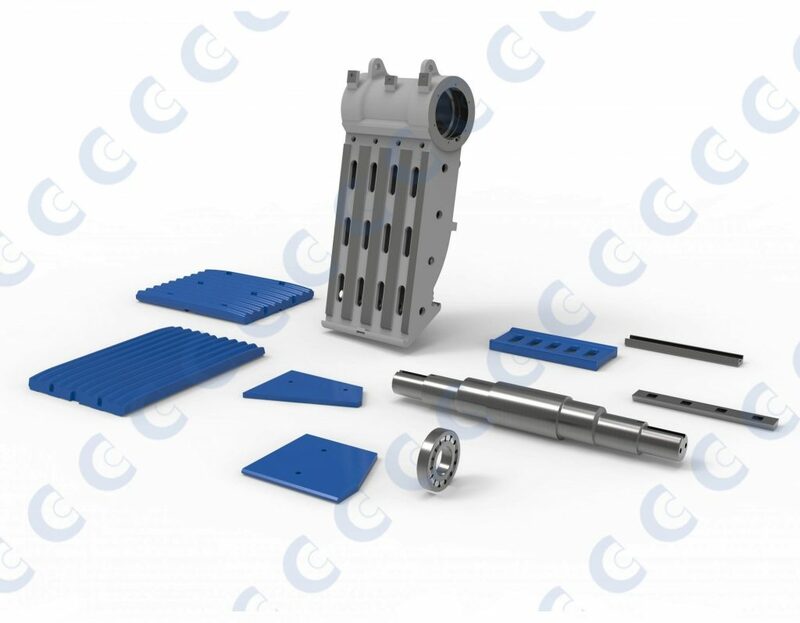 The CMS Cepcor® product range includes precision machined UK manufactured eccentric shafts, bearing mountings, spacers, retainers, toggle beams, toggle seats, toggle plates and oil seals.